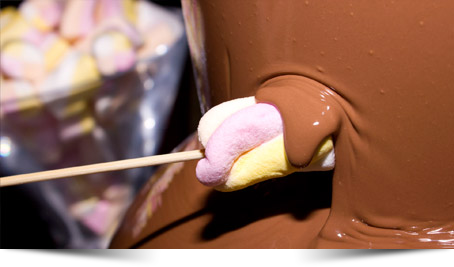 The Chocolate Fountain Experience are based in Hull and serve the whole of the Yorkshire region. Our fine reputation has been built on the quality service that we provide and attention to detail. 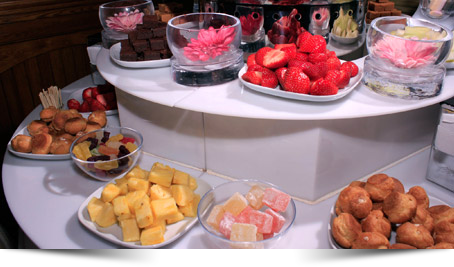 Our extensive stock of chocolate fountains allows us to cater for any size of function or event with ease. The fountains vary in size from 12" to a very impressive 47" tall. The larger fountains are supplied with a perspex tier surround or illuminated base. The Chocolate Fountain Experience provide a fully managed service, our experienced uniformed staff will take care of the fountain and assist the guests throughout the duration of the hire this includes set up, operation of the fountain, replenishing the dipping foods and cleaning and dismantling so you dont have to worry about anything on the night.